"A lot of accusations about the LUMs issues have been levelled at the market data, and therefore wholesalers"
At Everflow, we work hard to ensure that customers can always be billed accurately and on time. One of the key issues the industry has been contemplating and attempting to resolve is around Long Unread Meters (LUMs) which certainly has an impact on the former and can in some instances affect the latter. Minimising the LUMs impact on billing and settlement is key to ensuring that customers maintain confidence in the market. The outcome of this should be seen through lower complaints levels within the market and greater engagement through switching and contract negotiations. A lot of accusations about the LUMs issues have been levelled at the market data, and therefore wholesalers. Some of this is fair, as seen by meters clearly having had spurious historic reads, but we don’t think this tells the full story. Therefore, we thought it’d be helpful to provide some commentary from a retailer’s perspective on LUMs using actual data and make some suggestions for the market to consider. Everflow has a unique view of the market in that we deal with all wholesalers in a uniform basis with no particular skew to a geographic area or customer demographic and so are well placed to comment on the industry and therefore meter reading issues as a whole. 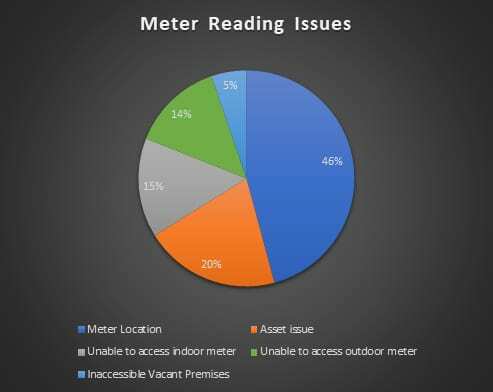 Location Data: 46 per cent of unsuccessful reads are down to location data being of insufficient quality to allow our meter readers to find the necessary meter asset to take the read. This is almost exclusively a data issue, although we do note that there is potentially some crossover with the asset issues. Assets: 20 per cent is attributable to an issue with the asset, be it a collapsed meter pit, a broken meter, a cracked display or the odd case where an asset has been removed but not removed from the market data. Accessibility: The remaining 34 per cent of issues are potentially more challenging to resolve – access issues – this can be due to opening hours of premises, unsafe meter access in roads, or simply unable to access meters due to a premises being vacant. As in all areas of business efficient and effective communication is key to delivering results. On that theme there are three actions that we think the market should consider to facilitate widescale and consistent improvement in the area of LUMs. 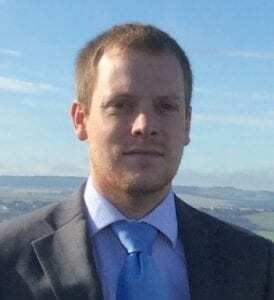 Bulk communications for Data and Asset issues: We’d request that all wholesalers facilitate working directly with retailers to receive data in batches rather than through inefficient bilateral mechanisms. We acknowledge that some wholesalers are better than other at accepting this, but it definitely helps speed up processing time for both parties. Both parties need to know what the issue is with the data and it’s likely that retailers will have more than wholesalers will about these areas. Costs associated with rectification: Any rectification that is required through wholesaler site visits, where this is to do with market data issues, this must be without cost to the retailer. A lot of wholesalers have sensible policies in this area which incentivises retailers to action these things. Others do not. Improved market monitoring: Clearly other retailers may have different experiences and therefore we call on MOSL to request the information we have discussed – the breakdown of unsuccessful reads – from all retailers on a regular basis to further facilitate the improvement of performance across the board, a role we see as being vital to MOSL’s continued successful operation of the market. Whilst publishing the high level data publicly is a great move by MOSL, without a more detailed breakdown of information it is not easy for the market to identify where the real problems lay. It is worth noting as a final, but very important point. A lot of these issues would be lessened through the wholesale deployment of smart metering technology. Not a quick solution, we recognise, but some wholesalers are leading in this area of development. As a representative of our customers – for those refining PR19 plans, following the draft determination, please take serious note.